If you regularly hit the gym in order to build muscle, you will no doubt be constantly on the look out for good sources of protein. It’s an endless, ongoing battle to find a good quality protein source with every small meal and if you follow popular advice, you’re looking at doing this six times a day. 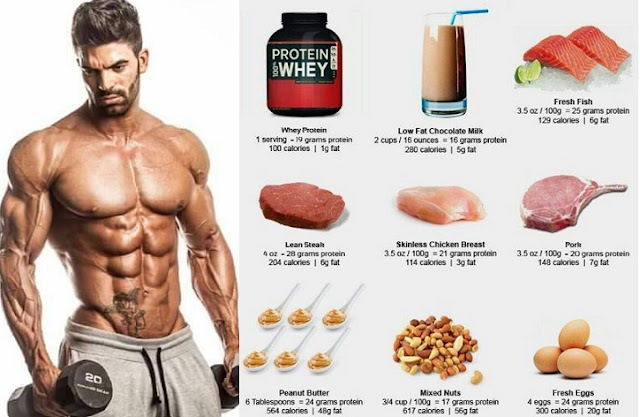 No doubt you’ll have come across the protein sources listed below, but they serve as a good reminder that they really are the best sources of protein available. Chicken Breasts. Chicken is arguably the most popular source of protein available. It’s tasty, versatile and absolutely heaving with good quality protein. An average chicken breast will offer you a very generous 30g of protein and the cherry on the top – they hardly have any fat. The only downside to chicken is that it can get quite expensive, especially if you insist on free range (like you should). Tuna. Tinned Tuna flakes and tuna steaks are another perfect source of high quality protein. It does have its downsides though – tuna flakes can be a little on the boring side, even when mixed with mayonnaise and tuna steaks are more expensive than chicken. Nevertheless, if you manage to get more tuna in your life, you’ll be better for it. Salmon. Salmon is a very healthy and great tasting source of protein with the average salmon steak coming in at about 24g. It’s extremely versatile and is especially nice with various sauces, seasonal vegetables and new potatoes. Crucially, it’s not as expensive as tuna steak and you can probably pick up two salmon steaks cheaper than two chicken breasts. Previous articleBuilding Muscle? – The 7 Foods You Must Never Eat!